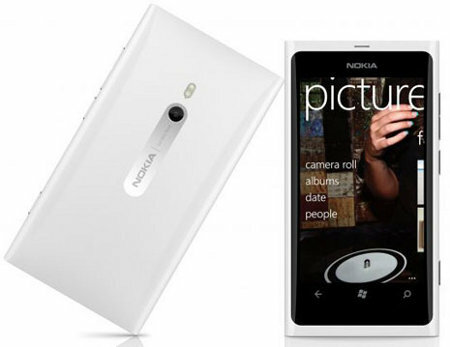 The Nokia Lumia 800 is a Windows Phone-powered smartphone from Nokia that has been for nearly half a year already, and it has received some rave reviews to boot. I guess this is one area where Nokia got it right, by working together with Microsoft using their new mobile operating system. Well, we do know that even the best hardware can only go so far, unless it is augmented using the right kind of software. Nokia knows this, too, and they have just announced the third software update within the smartphone’s relatively recent existence in the market. This particular software update will bring the Lumia 800 to version 1600.2487.8107.12070, where you are able to enjoy significant improvements in battery performance and power management. Originally scheduled to arrive on April 18th, it is a pleasant surprise to see the folks over at Nokia bring the date forward – and now you can even enjoy this new software update before the month is over, for those who live in certain countries only, of course, since this update does not span the entire globe. The latest update for the Nokia Lumia 800 is queued up over the course of 4 weeks, from today onwards for the first batch, to be followed by subsequent phased updates that will happen on 4, 11 and 18 April. Just in case you feel maligned that Nokia did not list your country or operator in either the first or second batch, bear in mind that Nokia has not forgotten about you, but have a very good reason for doing so. First of all, each software update for Windows Phone needs to go through Zune (Mac users will know it as the Windows Phone 7 Connector). Not only that, the new software update needs to go through the customary testing and approval process from each and every operator, and the variant for your network will be slotted into a batch the moment it is ripe and ready. Just what does this software update deliver? For starters, it will enhance the battery life of the Nokia Lumia 800, with some folks touting anywhere betweeen 25 to 30 hours of juice while maintaining their daily usage pattern, in addition to better voice quality and soft keys that illuminate at all brightness levels settings. Zombies, Run! – and Don’t Look Back!